Recently launched bike from yamaha... FZ 16!! It is rechristened as FZ16 from FZ 15 & the engine is 150cc. ‘16′ probably is to differentiate from R 15’s ‘15′. 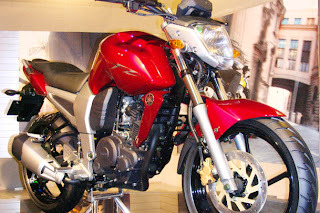 The FZ-16 will be launched on September 15th 2008 and the deliveries will commence by Oct. 2008. 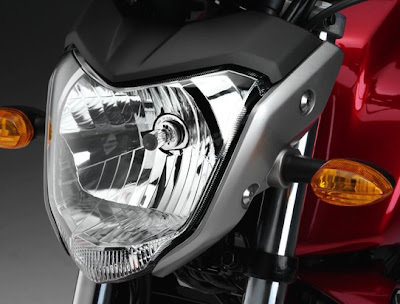 The FZ-16 is estimated to cost around Rs. 70,000 ex-showroom. Looking great from front end... nice head light.. This bike really seems to be the greatest hit. However it would be best if the mileage will be around 45-50 kmpl. The bike looks really awesome specially the huge tank and the front fairing and the speedometer looks cool. BROKEN THE CLUTTER WITH THE STUNNING FZ 16 & RZ15.THE FZ 16 IS MORE APPEALING BECAUSE OF ITS SUPERB STYLING & VERY IMPORTANT.. 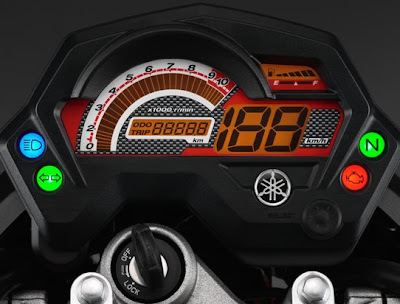 THE RIGHT PRICING OF 71K ON ROAD.HERO HONDA & BAJAJ WILL NOW FEEL THE HEAT & UNLESS THEY DONT COME WITH SOMETHING GOOD,IT WILL BE VERY DIFFICULT FOR THEM. 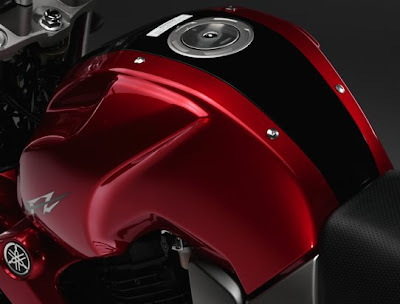 This bike have no rivals coz it looks only of its kind different from any other bike in India as now. I think this is best one can have today in terms of style, comfort, mileage, power. Its like a complete package of what Indian road demands. Hi,the style of fz is good but the number plate provided above the headlamps is dam bad and the capacity of fuel tank is also low but it seems to be a 18lts tank At least try to place the nos plate below the headlamps bye. wht will be its price ??? what is its normal city mileage? any 1 found any problems after driving 1000+ kms? it has got kick start .. i ride for 1500 kms and giving on average of 45 kmpl . Bike comes to stop from 90kmph to 0 without a skid . Im enjoying it .